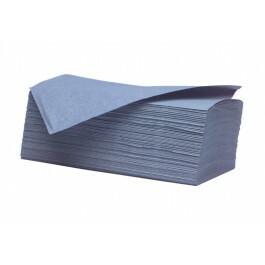 The System Hygiene Blue Heavyweight Interleaved Paper Hand Towel is one of our most popular paper products. 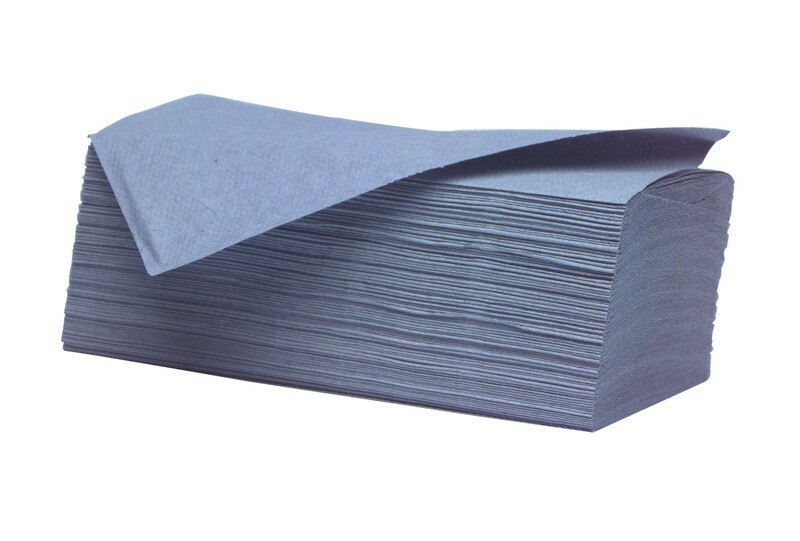 This is the heaviest weight paper towel we supply and is ideal for use in schools, art rooms and public washrooms, as well as being a firm favourite with the local authorities. 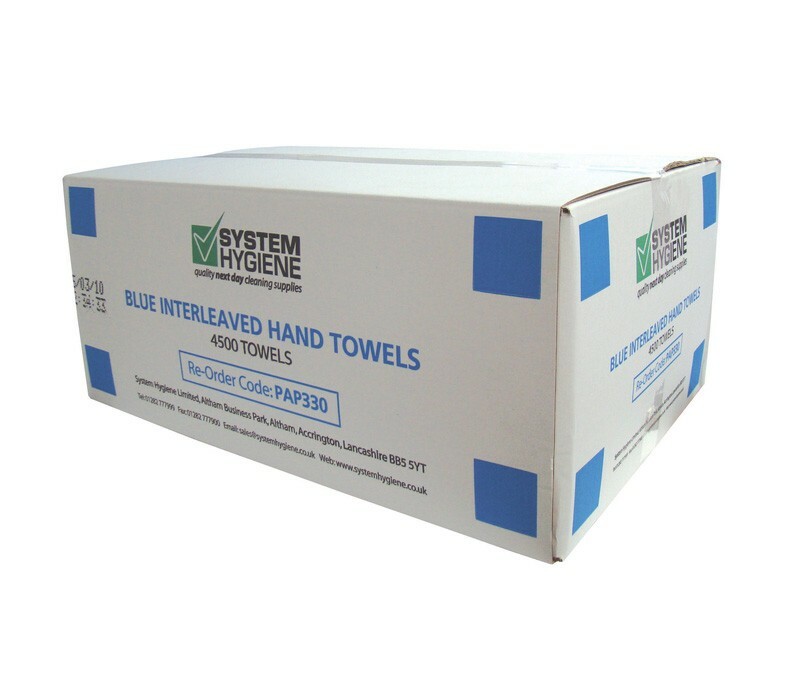 Interleaved hand towels are self presenting, to use simply pull one out and the next towel automatically follows on, ready for use. This product has been designed for use with a metal or plastic hand towel dispenser, and will fit most other hand towel dispensers on the market. 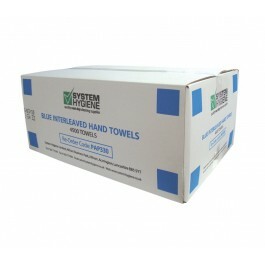 4500, 1ply, blue, interleaved heavyweight towels per case. The heavyweight paper towel is also available in green.